FaceTime For Android: Can We use it on Android Phone? Home How To FaceTime For Android: Can We Use FaceTime App on Android Device? FaceTime For Android: Can We Use FaceTime App on Android Device? 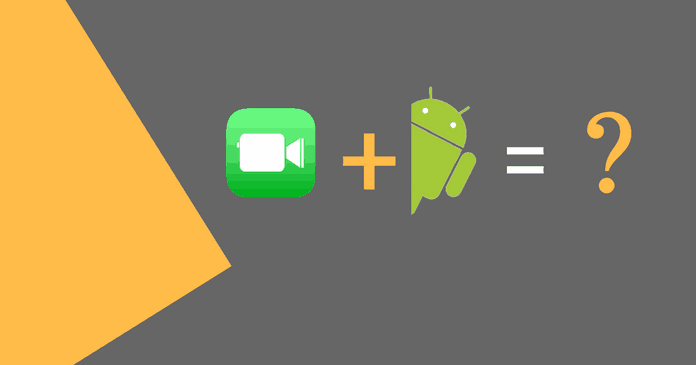 Do you think that you can use Facetime App on Android device? Android is the most widely used Operating System in the world. It is user-friendly and secured OS where people who never used smartphones can handle with some basic knowledge. Why not Apple? Apple is also the secured OS. But, When it comes to the friendliness and interface, Android is the preferable one. I am not discouraging Apple. I am just saying the cause faced by me while using both the devices (Android and iOS). So, What is FaceTime? Why Are People very craze to have FaceTime app on their Android Device? For all the questions, the answers will be given below. 1.1 Why has FaceTime gone viral in a short period? 2 Can we use FaceTime app on Android? FaceTime is the inbuilt iOS application where you can experience it on the iOS devices. For those who don’t have iPhone or iPad can use iOS emulators for windows to run iOS apps. FaceTime is the video calling app which allows the user to call to another user. What sounds creepy in it? Both the users should have an active internet connection to have a video chat. Why has FaceTime gone viral in a short period? When it comes to the technology, People are very eager to know what unique in it and how it is going to help them on a daily basis. This thing has been covered in our mind so; we are getting attracted fastly to the new technology in a short span. As like that, FaceTime also introduced for the iOS users where Skype was the favorite video calling application at the time. People were starting using it, and it has gone to the peak. Can we use FaceTime app on Android? Here comes the actual question. This question has been asked by many of our readers whether they can install FaceTime app on Android device or not. As we have previously discussed, FaceTime app belongs to the Apple.inc and it is only for iOS users. But, FaceTime is not just the video calling app, There are still tons of app which are trending right now on the internet. Do check out Top Video calling Apps for Android & iOS. There is one other chance that we can expect from the tech giant Apple. This is just an expectation and not the official news. In Future, Apple can also develop FaceTime for Android, or may not. But, The real truth is no FaceTime app is officially announced on the Android device. But, There can be some modded apps for Android that looks precisely like FaceTime but, it is not. Those apps are developed by some app developers on the basis to earn money or for some other reason. So, don’t be fooled by installing it. After the successful research, we came to the final decision by picking the best alternative to the FaceTime app; It is none other than “Google Duo.” It is the best Video calling application when it comes to the video chat. We have gone through many of the video calling application. But, we found that most of them are not suitable for the users who are having slower internet. But, Google Duo works great even with the slowest internet. So, We have hand-picked the Google Duo as the best Alternative to the FaceTime. Moreover, If we see any other app works better than the Google’s Duo, We will update it with the download link. Yes I do see FaceTime app in Iphone but I dind’t see this on Android Device. Well FaceTime will be also interested in Android.